FOFOA: Mona Lisa or Ben Franklin? Storing Wealth or Making Money? In the olden days, there was a difference between what you collected as a store of wealth and what you traded or deployed into the marketplace to make money. Man has a basic need to collect and store wealth. This need derives from the awareness of his own mortality. Every man knows that someday he will grow old and die. And in those later years, he will need to draw from the wealth he has stored throughout his productive years. Today's international financial and monetary system has evolved to where the demarcation line between the two, wealth-storage and trading-to-make-money, is hopelessly blurred. To see an example of this, look at the traders who play in the gold markets. Why are these traders drawn to the gold markets when there are many other markets with much higher leverage and profits? Perhaps it is because they have an innate understanding of the way things once were, yet they are hopelessly confused by today's international financial and monetary system. The evolution of this system has bestowed upon the governments and bankers of the world a way to skim value from the wealth you store during your productive years. It is as if they are not only clipping the coins that pass through their possession, but they are also coming into your home and clipping the coins you have hidden for later use. In order to achieve this magical feat, the system has grown excessively complex. And under the weight of its own complexity, it is now collapsing. Soon we will find ourselves back in the olden days, where there once was a difference between wealth preservation and "making money". The evolution that brought us here took 100 years. The return trip will seem almost instantaneous when it is later recorded in the history books. And for a person to gain an understanding of what is changing, now, in the midst of the transition, will later be recorded as one of the most valuable "epiphanies" ever. What is debt? In the olden days, if I saved an ounce of gold I had two choices. I could simply hang on to that ounce of gold forever, or until I needed it in my old age, or I could loan it to you. But if I loaned it to you there were a couple of vital requirements. First, I would only loan it to you for a productive purpose. You would need to prove to me that you had a way to grow the investment through productive means. This would ensure not only that I got my gold back, but that something good, some profit would come out of the exchange. The second requirement would be collateral. Just in case your attempt at productivity failed, I would want to receive something of equal value to my loan. This collateral could be something you already possessed like a family heirloom, or it could be my ownership rights to whatever you used the gold to purchase, like farm land or farming equipment. In either case, if I didn't get my gold back (and some profit), I would at least get something of equal value back. Without collateral and a productive purpose, I might as well just hang on to my wealth in the form of gold. Today we are encouraged by bankers and by our government to deploy our savings into the marketplace without either of these guarantees, neither productivity nor collateral. Even entire nations (like China) "invest" their savings in the non-productive, non-collateralized debt of the United States government, supposedly the safest investment on Earth. China is slowly realizing the flaw in this paradigm. Accordingly it is asking for guarantees (collateral?) and also diversifying into physical gold. Today we have been conditioned to believe that debt does not need to be productive as long as the economy is growing. We loan our money to (invest in) companies that do not pay dividends simply because we believe new people (suckers?) will later pay us a higher price for these companies. We loan money (through fancy securities) to people for the unproductive purpose of home ownership. And in many cases, because of the excessive complexity of securities, we don't even retain the collateral rights to the underlying house. The whole system has evolved to where there are no guarantees. Securities are no longer secure. We loan money to someone in the hopes that they will loan it to someone else, and they will loan it to another person, and that somewhere at the end of the line, someone will be productive. But instead, it has become an infinite loop of non-productivity... with no collateral. Today, debt is completely unproductive, without guarantees. So why do we even bother to part with our money? What is money? This question explains why we are willing to part with our money for such risky and unproductive promises. It is because for 100 years now, money has been steadily declining in purchasing power. It has failed in its third and final function, to be a store of value. So the system that evolved has taught us that we cannot just hide our money in the mattress and hope to later pay for our "golden years". Today, we must send our little (dollar) soldiers out into the world and hope that they multiply. This brings us back to those traders that play in the gold market. They choose gold because they understand the problems with fiat money. Yet they use gold in the same way that fiat money works, they trade it back and forth hoping to profit from price changes. The same way we loan to (invest in) non-productive companies with the hope that someone later will pay us more. And in doing so, they never even touch the physical gold metal. This is the ultimate confusion of fiat and physical. We instinctively know one thing, yet we are completely immersed in something else. The gold that these traders trade is no different than fiat money. It is a piece of paper that holds its value based on faith in the system, and it can be created from thin air (in great quantities). It is someone else's non-productive, non-collateralized debt. We lend them our money with the hope that someone else will later pay us more for that debt. The paradigm shift that is now in progress will change the gold market from this fiat paper gold market (price betting) to a purely physical gold market (wealth reserve). When this happens, it will be instantaneous. When this happens, your fiat paper gold will disappear like a magic trick, and your physical gold will suddenly feel like the Mona Lisa herself. The current paradigm we live in contains many firmly held beliefs. These beliefs have developed over many decades and have been passed down for several generations. Most of these beliefs are flat wrong. And as one by one they are shattered in plain view, we will see the paradigm shift. Here are a few of the current beliefs. A house is more than just a home, it is the most important investment you will ever make. The right balance of stocks and bonds offers predictable long-term risks and returns. The modern economy requires an ever increasing supply of money. Deflation is bad. Inflation targeting (by central banks) is good. US Treasuries are a risk-free investment. Gold is only a hedge. I could go on and on. Can you think of a few? There is an old saying, "You can't teach an old dog new tricks." This is true. Unfortunately this mean that the most vulnerable to a paradigm shift will be the last to recognize it. But as I said, the signs of change are already on TV for all to see. I have the TV on today in the background. I am not actively watching. But just in passing I have seen two examples of the change in the minds of men that leads to a paradigm shift. The first was a lady reporter talking about General Motors. She was talking about how the government is investing $70 billion of taxpayer money in a company that the market currently values at only $457 million! She made the statement, "Nothing is risk-free these days." Would you call that an understatement? The second was a housing expert talking about how houses should only be purchased as a domicile, and not for any other purpose. He talked about property taxes and maintenance and all the reasons houses are expensive to own. He talked about the fallacy that a house can be a retirement nest egg. And he stated that houses should never have been considered speculative investments, as if he was sharing an age-old wisdom. Well, actually he was, but I wonder if he was saying the same thing five years ago. Think about an object that means "great wealth" to you. It can be an old family heirloom or a fine painting in a museum. Now imagine that you are holding that object in your hands. Imagine it is yours, to do with as you please. Imagine you are a wealthy person and this object in your hands proves it. Now ask yourself a few questions. Would you actively trade this object with other people, handing it back and forth, in order to make dollar profits from the fluctuations in its dollar value? Would you leverage this item (take a loan against it) in order to make dollar profits investing in non-productive, non-collateralized companies, knowing that if your investments go down you will lose this object of wealth? And most importantly, ask yourself this. Under what special or extreme circumstance would you sell this item? This is the paradigm shift that is underway. In the minds of men, physical gold is becoming this object of "wealth". Over the last year I have seen the change in the minds of some very unlikely people (in my own family). So I know first-hand that this is under way. This change is not only happening in the minds of individual men, but it is also happening in the board rooms of national treasuries, sovereign funds and central banks. The economy of man is an unimaginably complex biological organism. It is an ecology. And as with any ecological system, when stress is applied the system adapts and evolves. This is happening right now in the human ecology, the planetary organism made up of 6.75 billion individuals, each dealing with stress in his or her own way. Some have had the foresight to take positions that will be massively beneficial as the paradigm shifts. This was the message of Another ten years ago. This is also the message of the Euro. Even with its many flaws, the Euro is positioned to benefit greatly from a paradigm shift to FreeGold. 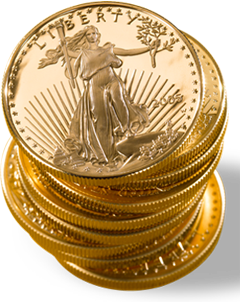 The US dollar maintains its link to gold even without the gold standard. It must. This is because the US dollar competes against gold for global wealth reserves. This creates an inverse relationship between gold and the dollar, a relationship which must be managed. But very soon the dollar will either release its control over gold in an effort to save the unproductive debtors, or it will be forced to relinquish control over gold as productive creditors hoard all remaining physical gold in defense against the collapse of the unproductive debtors. The Euro, on the other hand, has severed its link to gold. It now holds gold as they did in the olden days. The Euro holds gold as a wealth reserve giving it the credibility that comes with wealth, as well as a universal reserve to be deployed only in the most "special" of circumstances. The Euro holds its gold "marked to market". This means that as the price of gold rises, so does the value of the Euro's reserves. In turn, this lends rising credibility to the Euro. This is the opposite of what happens to the dollar as the price of gold rises. We can all position ourselves like the Euro. Or we can stay positioned with the dollar. The choice is ours. The paradigm shift is happening whether we like it or not. The subtle changes are already there to be seen. We only need to know what to look for. And when this thing happens, when the dollar and gold part ways and head off in opposite directions, gold will be closer in value to the Mona Lisa than to a Ben Franklin. I am surprised you had anything positive to say about EURO. I was trying to find which country owns the most reserves in relation to currency outstanding. Anyone know? I received the link (see below) to this story from a client and friend who lives in Frankfurt, Germany. Apparently, the Germans have an appetite for gold bars and coins that is outpacing even the Indians. According to my German client, it was reported this week that Germany imported 59 tons of gold in the first quarter of 2009. As a long-time gold broker, I can attest to the number of inquiries I have received over the years from Indian clients. However, it is time for the Indians to move over and make way for the Germans. We have always known that Germany is the powerhouse of Europe, and that great wealth resides within its borders. Outside observers who compare today’s financial craziness with the Weimar Republic can understand why there is a modern day gold rush going on there now. Good observations! I’ve been focusing on wealth preservation for the last few years and have frequently been annoyed by people attempting to use my wealth-preserving mechanism to “make money,” which just causes my wealth, denominated in dollars, to gyrate up and down. And don’t forget that even ironclad “contracts” have no meaning anymore. I’m referring to bondholders of GM and Chrysler who were shafted recently. Basically, one cannot trust any person or paper investment anymore, so if one wants to preserve their wealth, the only way to do so is by buying things of timeless value, such as gold, or physical “things,” particularly useful things such as a paid-off house, building materials, firewood, food that can be stored, and even soap, razor blades and toilet paper. Our modern society is a very complex edifice supported by many pillars, both large and small. Shifting a paradigm as large as the definition of wealth may knock out a few other pillars. The reason that I bought survival stuff is because nobody can accurately predict just how many pillars are going to get whacked. The book, "The collapse of complex Societies" examines previous examples of societies that got too many pillars knocked out. Our society has grown so complex that nobody has a good overall picture. I fear that the complexity of inter-dependent systems will be beyond management when stressed. Our second biggest oil supplier, Mexico is rapidly running out. They expect to be an oil importer in 5 years. At the same time, israel may force Iran to close the Straights of Hormuz. The US produces 44 % of our oil. In a big oil shock, will the oil go for food production and distribution or will it go to the US military. Dollar irreplaceable, says UAE cbanker. The central bank chief for the United Arab Emirates said he saw weakness in the dollar as a "temporary situation" and expressed support for the greenback, saying nothing could replace it as a reserve currency. "There is no other currency to replace the dollar, not the euro," Central Bank Governor Sultan Nasser al-Suweidi told reporters on Sunday. "It is the currency for investment." >>> I have no idea what the $-regime and the oil-states have been "trading" behind the curtains !? People are asking if the Chinese are buying so much gold why is the gold price not spiking much more than what we are seeing. The reason is they are buying most of their gold from their own internal mining operations before it actually hits the open market. I think that is going to change in the near future when they actually do move to open market purchases. The US hasn't officially checked in on its gold in half a century. It still keeps it on the books at $42 an ounce. The IMF which took in gold from its members also keeps it at $42 an ounce. The Euro, on the other hand, holds its member's gold at market price. If these were country club memberships, which one would you join (knowing you had to pay for membership in gold and then get paper in return)? I do understand the Euro has many problems right now. And I don't really like the centralization it represents. On the other hand, it has positioned itself to survive and thrive in a paradigm shift. I know you like the NOK, but how much gold do they have? I don't see Norway on the WGC list of hoarders. Instead, they traded their natural wealth (oil) for Mortgage Backed Securities. They were the perfect victim of the dollar faction's cheap oil deal. I'm sure Norway will do very well in a Freegold world. But what effect will the paradigm shift have on the NOK? Is it positioned like the Euro? Or has it followed the dollar playbook and forgotten about gold? Good to see you. Are you in "the Golden State" yet? I'm glad to hear that you are focusing on wealth preservation, but that Beanie Babies market can be a volatile one! Agreed. Something strange is going on within the GCC. Norway has enormous (well managed) oil-WEALTH. Norway wants to remain a "neutral" oil country as to participate and distribute its oil all over the globe. For this rewarding neutrality, they have to pay a $-price ($-loyalty). As R. Leuschel wrote very recently : The accumulators (owners) of goldmetal have many enemies !!! And Roland (82) knows what he is talking about. Have noticed, as i spoke several notorious investors this weekend, they did suddenly shifted their opinion's on the Yellow road. 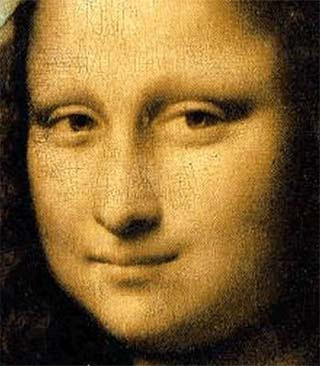 Mona Lisa seems to have a "knowing smile", doesn't she? On the other hand, Ben appears to be concerned about something. Al-Sanea who is married to Sana Algosaibi, of the Algosaibi family, has a net worth of $7 billion, ranking him as the world’s 62nd richest person, Forbes magazine reported March 11. As of Dec. 30, al-Sanea indirectly held 359.1 million shares, or 2.97 percent, of London-based HSBC, Europe’s biggest bank, according to an HSBC filing. The stake is worth about 2 billion pounds ($3.28 billion). During the next 2-3 years (09/10/11) much more paper will burn. Even the physical papers one hides in shoe boxes. Thanks for link.I actually found what I was looking for. Switzerland and Kuwait have the most Gold in relation to M3. NOK is attractive simply because they will never have to monetize their debt.Because they have no net debt.How many currencies can we say that about today?They hold some US stocks and bonds but considering the performance of their reserve fund (outperformed all stock markets)last year I would say that they do not hold too much mortgage paper. They do not hold any gold which is stupid on their part. However their reserve fund may have some gold investments (they do not disclose the holdings). Outside of Germany the Euro zone is a mess. Spain may lead to break up the Euro I think. Even Germany is getting tired of dragging the rest of Europe up with it.I rather hold CAD in my homeland with Debt to GDP of 29% than EURO zone which I think is averaging around 75% debt to GDP. Incidentally, MBS's were heavily marketed to Norway's sovereign wealth fund. To date, they have lost $90 billion. That's a lot of oil! I guess that's just the price they paid for rewarding neutrality (as Anonymous said). That, and the "cost" of ignoring gold. But as Anon says, they have plenty of natural wealth. "The loss was so big, it wiped out pretty much everything Norway's so-called oil fund had made since it started investing Norway's oil and gas earnings in the global financial markets 12 years ago. Critics were quick to point out that the hit was equivalent to a loss of more than $18,000 for every man, woman and child in the country - the exact people whose retirement wealth Mr Slyngstad's 217-strong team were supposed to be safeguarding. Footnote: The Government Pension Fund of Norway comprises two separate sovereign wealth funds. One of them - dubbed the oil fund - invests the country's oil and gas earnings overseas, the other on invests only in Norway." It is interesting that the cost of supporting the dollar (for the PRODUCERS that support it) is basically the surrender of all profits and all savings. It's time for a paradigm shift! Thanks for that link. Their other investments must have done quite well for their percentage loss to be so small! Gcc monetary union broke up as you guessed it uae pulled out saying it didn't like central bank in Saudi. Uae is also right across from the closest point to Iran and it is stuffed to the gulls with its own debt issues. All that said the oilloit is totally susupect. Did you see Anon's response to Ender about the Euro? 2nd comment under Up Day Open Forum. Ender's question is at the end of the previous thread. I agree with Anon about the Euro and the Freegold concept. And also for other reasons I think a break-up is unlikely. If you would like, feel free to present your reason for a break-up being likely. Then I will tell you why you are wrong. ;) Less typing that way. My fingers are tired from Mona Lisa and Ben. 1) ECB is a independent Bank and France, Italy and Spain do not like that. When the dollar comes under pressure They will try to force the Central Bank to follow suit(monetize), when it won't they may break-up. 2)Spain right now needs help. Their housing situation is much worse than ours. They may think devaluation is the answer. 3)Most countries are running deficits well above the charter requirements with no sign of easing. Even if one country wants out the risk to complete breakup is immense. Think about it. Other than Germany, why would you want to own the Euro. As a counter the dollar sure, but there are very little reason to like the Euro. Even on a PPP basis way overvalued. I still think NOK, CAD, CHF, AUD and NZD present better alternatives to the Euro. That's interesting. Your first two reasons are that certain weak members will want a WEAKER currency, quantitative easing, easy money. The Euro is TOO STRONG for them. They WANT to play the fiat game, and run the printing press. Well, they aren't going to change the fact that the ECB is independent, so the only alternative would be to break away and devalue their own currency. Only this will have the OPPOSITE effect of what they desire. For this country, borrowing costs will RISE as investors demand a currency risk premium. Also, while contracts between parties in the seceding country could by law simply be redenominated in the new currency, re-denomination would not apply to cross-border contracts. Foreign creditors would still demand to be repaid in euros (‘continuity of contract’). Thus, a country that secedes and devalues would still have to repay its foreign debt in euros and would face a rising debt burden. If any of the weak countries break away from the Euro, their problems will be much worse. These weaker countries NEED the strong Euro. I thought you would argue that Germany would be the likely break-away in order to issue its own STONGER currency. I think this makes more sense. This seceding countries' borrowing costs would go DOWN and the politicians could run BIGGER DEFICITS. But this is not what Germany wants right now. They just voted for spending CUTS. Regarding your number 3, I would not want to own a Euro over any of those other currencies unless I lived in the Eurozone. Why buy a Euro when you can buy GOLD? For that matter, why buy any of the other fiat currencies? (Unless you live where you need them to pay bills!) Buy gold! Cut out the thieving middleman. The initial reference in my post which sparked this conversation was not about the Euro being a "good little fiat currency". It was simply about the Euro being positioned to benefit from Freegold. And many believe this was intentional and foreseen maybe 20 or 30 years ago. I'm sure I missed a point I wanted to make. I'll probably remember it as soon as I hit "publish". I mentioned that Germany is tired of dragging the rest up (see earlier comment). That interest rates and borrowing costs would rise and they would be screwed is easy to see for anyone with half a brain.The problem is how many politicians do you know with a quarter? Political stupidity is a fair enough argument. But the political and economic costs of leaving the euro are sufficiently high to make secession unlikely, and to make the stupid politicians get a few expert opinions first. If you have time, it would be nice to hear some more of your thoughts on what was transmitted back then or what you really took away from the conversations. The key thing that stands out to me is the statement “It is the first currency that has not only severed its link to gold, but also its link to the nation-state”. When I look around at every other currency, I see a nation-state link. It would seem to me that this unique characteristic inherent in the Euro is not something that will be easily matched anywhere anytime soon. If I am understanding this correctly, this separation prevents politicians from – sticking their hands in the cookie jar – so to speak. If that is the case, price stability may actually be achievable. What is most interesting though is the ‘thought’ that other currency economies will be able to mimic the Euro system if they do not sever the nation-state link. In the longer run, when trade surpluses and deficits are settled via function of the economies (gold settlement) the Euro will always have the advantage. That is, because all other currencies still have a nation-state link, there will always be the temptation of politicians to borrow more then what is sustainable. Which, will always have a weakening affect on the currency (more notes in circulation) which will lead to a rising gold price. Now, if the Euro participants are able to balance their budgets, political influence is based upon human productivity – rather than printing money from thin air. Using a currency that has this type of ‘strength’ would be very appealing to a country (nation-state) that has a surplus in trade. If the strength of the currency comes from human productivity, the usage function of the currency is strong. Ie. You have a very high probability of being able to redeem it for something worthwhile. Today, many countries around the world are learning, in a painful sort of way, that holding a currency of a country that has a deficit trade and weak politicians leads to a currency that doesn’t function. A simple example is a gulf state or China not being able to buy something in the US. The basic problem is that the currency of the US has lost its human productivity backing. Which, will lead to a lost of function for the dollar. I may be rambling, but moving forward, it seems that even if other countries acquire tons of gold and let it trade freely, the only way they will be able to compete with the Euro is to apply the same political restraint. This I doubt. By the way, not sure I understand the comment regarding China needs to acquire more gold. It is my understanding that Another mentioned “big trader” was in Hong Kong. I may have it wrong, but I do not believe the public knows how much gold is really held in China and throughout Asia. I would not be surprised if China already had all the gold they need – to feel secure. It has been my understanding that the redistribution of gold to official sources took place a long time ago. What we witness today is the shifting of the tide towards stating that gold IS the reserve of choice. Ultimately, I ask those reading, does China need to buy more gold or do we simply need to close down the gold derivative markets? Gold, and human productivity, will find a balance once the current political influences run their course. Call for single Asian currency ! TOKYO - The man who hopes to be Japan’s next finance minister envisions an Asia united by a single currency, saying the dollar may no longer reign supreme in future. The opposition’s ‘shadow finance minister’ Masaharu Nakagawa also says he hopes to reshape the world’s number two economy into a kinder, gentler place if his Democratic Party of Japan (DPJ) wins elections this year. In an interview with AFP, Nakagawa outlined some of the changes he would like to make if he becomes finance minister in Asia’s largest economy. “Asian currencies should be unified into a common currency in the course of the region’s forming a single economic zone,” Nakagawa told AFP. He did not give a timeframe, saying it would largely depend on economic and political developments in China. "There is an old saying, "You can't teach an old dog new tricks." This is true. Unfortunately this mean that the most vulnerable to a paradigm shift will be the last to recognize it. But as I said, the signs of change are already on TV for all to see." @ Ender : What was the motivation behind freegold !? Politics,...I mean the (colluding) debt driven political economy,...lives on one single dynamic : We promess the sheeple heaven on eart, and...let themselves pay for it, dearly ! Some independant free-thinkers architected a practical concept to stop this self-destructing spiral : Freegold, the wealth reserve. 99,99% of the people will continue to speculate/gamble on all the aspects that this transition contains. And it is exactly this unproductive speculation/gambling that freegold (the concept) wants to stop. Genuine wealth/welfare creation can only develop in a stable and level playing field, environment. It is this kind of natural organic growth that the manipulative moneymasters and the colluding politicians, passionately hate. Simply because of their "power-hunger". The accumulation and free trade of the wealth freegoldmetal is the antithesis of unproductive speculation/gambling. Goldmetal wealth in possession is "boring" ! Gambling is fun. Dubai: The Gulf Cooperation Council's (GCC) location of the planned Gulf central bank in Riyadh is not open to negotiation despite objections by the UAE, a Saudi official said on Sunday. Ebrahim Al Assaf, the Saudi Finance Minister, said in an interview with Reuters that his country and three other Gulf states will proceed with their monetary union plan, although the UAE and Oman said they will not join the agreement. "It is not derailed, it will continue. The monetary union will proceed as planned," he said. IMF goldsales : Pending approval !? Just...."One day ( it has already started ) a type of nuclear chain reaction will occur in the currency markets as people start "unvalueing" the thoughts of others. Little by little all debts owed will be marked down." "Chinese assets are very safe..."
"The global recession seems to be losing force." Geithner offered U.S. backing for a higher-profile role for China in running global institutions including the IMF -- a controversial proposition since it raises the sensitive issue of reducing Europe's voting share in the global lender. Thx for connecting these ellements togeather. Although it seems we are rather drifting further away form "mark to market" i.m.o. we maid face a sudden confidence crisis as formulated by ANOTHER above. If a confidence crisis can be avoided, than in time, it will probably when the discrapanties of market, model & maturity are getting too big to cover, emerge into a liquidity crisis. @ Shanti : Indeed Sir, it's all about " Confidence Crisis ". Am still recording all the speeches, statements and spin (US/EU). All about artificial confidence building (perceptions)...backed by manipulative interventions. No substance at all ! The entire $-IMFS will go " GM " (government motors). This crescendo building CC cannot be avoided (stop and reverse). The problems are handled with a multiple of the policies that caused them in the first place. Systemic destruction. Crisis, comes from catharsis (Greek) = Turn around after breaking point. This is opportunity that contains 2 elements > 1/ A breaking point + 2/ A new start. Emphasis on new...Golden !? June 2 (Bloomberg) -- Yu Yongding, a former member of the Chinese central bank’s monetary policy committee, said he’ll tell Treasury Secretary Timothy Geithner that the U.S. shouldn’t be complacent about China continuing to buy Treasuries. >>> The West cannot solve the system malfunction without willing to cooperate with the new emerging kids on the block ! A fatal mistake (cfr. Helmuth Schmidt). The Abu Dhabi sheikh whose investment in Barclays last year helped the bank avoid the humiliation of being bailed out by Government money has seen the value of his stake double and has decided to sell his holding of more than 1.3bn shares. >>> Double 1.3 Billion shares within 6 months !? What kind of "game" is this ? Is this kind of financial capitalism to continue for ever ? Are we morons to question this ? For a lot of events/facts,...I cannot find a "rational" (& consistant) explanation. How much NWO (new world order) influences are here in play (if any) ? Quite a good daily kos: Subprime meltdown over; now comes the bad part. Funny how all this housing paper continues to burd. As we have covered almost anything we do (most former 'household' taskes are now included as a service, and even climate is) with a monetary blanket, the housing market clearly shows how this blanket got to thick. For every house there is a mortgage, which was though of as paper wealth. While that paper wealth is now evaporating quickly, wall street criminals are trying to make us believe we have a housing crisis. As the next part of this crisis unfold, houses will continue to stand, while more paper will burn. Gethner & China : Very good insights ! This is correctly so. Ratings of among other Spain and Greece have been downgraded already, and they really do have no way to overcome their problems on their own. However, they do not need a strong Euro, they actually want the Euro to decrease. They do however need the credibility of Germany and hence although they would welcome QE, they cannot break away from the Euro. Therefore the Eurozone is a bit divided on the monetary policy as various members have various goals ('weak'countries vs. the 'strong'). "However, they do not need a strong Euro, they actually want the Euro to decrease." The way I see it is that they need the strong Euro the way a child needs a parent. A parent prevents the child from doing things that will be self-destructive. The child usually does not appreciate this. The child does not understand. They may want a weak currency to bail out the weak (bankrupt?) members of society at the expense of the savers and producers. This is not in their best interest. They don't understand this. This is the benefit of the Euro breaking its tie to the nation-state. In this way, it is similar to a gold standard. So, why are consumers so confident? They are being deceived by "free money" into believing in the power of socialism. I would argue that increased consumer confidence is a rather good barometer for inflation. As 'the' American consumer is in debt, inflation will decrease the relativity of his debt, and hence increase it's relative position and confidence. Maybe so on those weak countries needing a strong Euro but not understanding so. What do you mean by the Euro breaking its tie to the nation state? In my opinion it is still tied to geographical and political boarders, only on a larger level. A gold standard is international and has no boarders. I hence don't think that there is that much similarity. Although I do not have oversight of all the forces in play, we can be sure that these type of remarks are strategic. The desert boys have some difference of opinion on forming a union, and hence they enlarge the playing field in order to (try to) increase their strategic position. This has little to do with real believe in the dollar I guess. The nation-state steals from the masses through seigniorage. It is the net revenue derived from the issuing of currency. The Euro has no single nation-state that can do this. "The euro, probably more than any other currency, represents the mutual confidence at the heart of our community. It is the first currency that has not only severed its link to gold, but also its link to the nation-state." "The euro is trying not to make [the dollar's] mistake. It wants the marketplace to form a stable network of pricing and contracts without false pretenses with respect to Gold. If it succeeds, it will be the world's first fully fledged Money -- in the most Proper use of the word! The euro could in fact be called honest money, if you like. That is, as honest and as trustworthy as the Rule of Law that stands in the background to enforce contracts." To offer up the culmination of a long inquiry into the nature of money from the humblest beginnings, two things come immediately to the fore. 1.) An understanding of money -- Form and Function -- requires *REQUIRES* an understanding of banking. This, to the extent that a person can't hope to claim a mastery of the monetary phenomenon that exceeds his or her mastery of banking as a System of Practices. 2.) Money is more about the Rule of Law than anything else. Loooooonnnnng trudging will eventually root out even the most entrenched preconceived notions about Gold in all of this. In the end, we're left with this unobstructed view of the horizon: Banking institutionalizes the accounting of Money; Rule of Law provides the vitality of contracts (wages, loans, purchase orders) which, forming an interconnected network of settlements and expectations of settlements, gives rise to (and, at the same time, gives insight into) the Value that a society engenders in its monetary unit. The role of Gold in the whole affair can be seen naturally as a passing phase in which the universal barter agent of Gold lumps evolved into standard Gold currency serving furthermore as a catalyst helping the Monetary phenomenon to set up and gel as a pure numerical system. The problem with Gold's low bartering/exchange/market/wealth value today is that it hasn't yet been set free again to behave a pure Property. It remains encumbered in a certain element of the banking system as a token behind an artificial valuation established by derivatives. As I tend to characterize it, it would seem that the Dollar-brand prototype of Money was never fully and fairly allowed to "gel" under standard Rule of Law within an uncoerced marketplace. As a result, the risk today is that the Dollar would collapse in a heap like so much premature quiche if LOW PRICED Gold were removed (i.e., becomes high priced Gold) as the ongoing stabilizing agent in the dollar's ongoing attempt at earning its own monetary wings. The euro is trying not to make that mistake. It wants the marketplace to form a stable network of pricing and contracts without false pretenses with respect to Gold. If it succeeds, it will be the world's first fully fledged Money -- in the most Proper use of the word! The euro could in fact be called honest money, if you like. That is, as honest and as trustworthy as the Rule of Law that stands in the background to enforce contracts. But as we know, Rule of Law today is not one and the same predicable Rule of Law tomorrow. It blows around a bit due to political will. Therefore, we'll always want honest Gold property used as our core Wealth Savings. We'll own it to compensate for our human inabilities to provide ourselves with a PERFECT Money. In other words, because we have to settle for using, at BEST, a system of honest money which is always humanly flawed, we need Gold to return to its ANCIENT job description as perfect property. The kind of stuff that can be OWNED, not "as money," but rather, OWNED....... (wait for it......).... UNAMBIGUOUSLY!!!! I hope this doesn't make anyone choke on their breakfast! Why is not the Eurozone comparable to a nation state? Btw, I can hardly understand why so many Americans continue to use their now-still-good-money to pay of their debts. All banks are bankrupt and there is no way the dollar can survive, so much should be clear by now. How long can it take for the people to understand? "Why is not the Eurozone comparable to a nation state?" Article 108 of the Treaty establishing the European Community (EC) and Article 7 of the Statute establish the principle of independence of the European System of Central Banks (ESCB). Neither the European Central Bank (ECB), nor a national central bank (NCB), nor any member of their decision-making bodies may seek or take instructions from Community institutions or bodies, governments of the Member States or any other body. The institutional independence of the ECB is strengthened by its financial independence: the ECB has its own budget. The ESCB is governed by the decision-making bodies of the ECB, these being the Governing Council and the Executive Board. Given that certain Member States have a derogation, the Statute provides, in the transitional arrangements set out in Chapter IX, for the establishment of a General Council of the ECB as the third decision-making body. For anyone interested: here is some more info on Bilderberg. This blog is usually rather good. "How long can it take for the people to understand?" These people pay off their debts just to survive day to day. They do not control the strength or weakness of the dollar. To make a decisive move against the dollar is very risky if you have no savings (which is the case for most debtors). Reread The Judgement of Value to see who we are waiting on. It is not the debtors. Debtors with no savings would need immaculate timing to profit from Freegold OR hyperinflation. If they are wrong by more than a month or two, they are screwed. When it does come, they will be fine because they have nothing to lose. So, actually, they are doing the right thing by paying their bills. Perhaps you're right. Ideally however the people should just stop trusting their banks and stop paying of their debts. They do not yet understand they should collapse the system. On Weimar: here is a very interesting thought on Hitler. Btw Merkel (Germany) has openly criticised the ECB. She argues that the central bank should not have given in to international pressure to buy bonds (treasuries). According to her QE should stop immediately, otherwise this recession is likely to last over a decade. As for Germany to openly criticise central bank policy is very unusual as the independence of central banks is higly respected especially in Germany. What we are seeing is hence that the internal division in the central bank (between the 'German crew' and the rest) is spreading into the political field. As before Germany is right again, but a divided central bank is not. However, it is better to openly disagree than to do shady deals and fly around in helicopters as Mr. Geitner and Mr. Bernanke have been doing so far. here is a video telling us we will enter the currency phase of the crisis and why the system will implode. Quite correctly so. The video is from this blog which is rather good. When the ECB first opened there was an argument over who would be the first President. The French wanted Trichet and the Germans, Dutch and Belgians wanted Duisenberg. The French knew that Trichet would be relatively easy with monetary policy, but the Germans wanted Duisenberg who would be tough and keep the Euro strong. The French, however, argued that since Germany got the location of the ECB (Frankfurt), that the French should get the President. Ultimately a deal was struck where "strong" Duisenberg would be the first president but he would step down early to be replaced by "weak" Trichet. So it is not surprising what Trichet is doing, nor that Merkel is criticizing. At 7:16 into the video you linked he recommends looking at the ________ effect on Wikipedia. Can you tell what he is saying? I thought it interesting that, in conjunction with “The Flood,” Germany’s Angela Merckel went after the Fed, BOE and ECB on their profligate liquidity profile. Kind of blows a hole in all those conspiracy theories about the cozy relationship between governments and their central banks, doesn’t it? European politicians, in power and on the side lines, usually criticize the central banks for a tight monetary policy. It’s refreshing to see criticism coming from the other side of the fiscal fence in Europe. I happened to catch a portion of NBC’s visit to the White House aired last night. At one juncture the camera was recording a briefing of President Obama by top staff members. One of the advisors started a presentation with “The Germans. . . .,” then turned to the NBC crew and said, “This is where you stop recording.” I wondered if this didn’t have to do with Merckel’s statement yesterday. I believe he means the bullwhip effect. That presentation on the Germans might certainly have something to do with Merckel. "High inventories which have to be liquidated after a period of time, so prices come down..."
I wonder if this applies to a high inventory of Treasuries. And then to a high inventory of FRN's? Did you happen to read this one, Martijn? I did happen to read some stories on bonds. The big collapse is indeed in the making. So far they manage to supress gold, but some other signs (e.g. bonds, oil) are in the red screaming at us. So yes, the big collapse is near indeed. I guess they are just trying to make it over the summer. I guess there is a chance for that. Before a collapse really sets in some jokers are going to be played, and that will buy some time. So, no need for holding your breath just yet, but be sure to take the remaining time to prepare if you need to. I enjoyed reading this post tonight over a cheap beer and a not so cheap cuban cigar. It makes me wish I was sipping on something top shelf while reading such a simple worded yet eloquent post. "Now ask yourself a few questions. Would you actively trade this object with other people, handing it back and forth, in order to make dollar profits from the fluctuations in its dollar value? Would you leverage this item (take a loan against it) in order to make dollar profits investing in non-productive, non-collateralized companies, knowing that if your investments go down you will lose this object of wealth? And most importantly, ask yourself this. Under what special or extreme circumstance would you sell this item?" I should send this to all of my paper loving friends who know that something is wrong but still grasp onto paper (and paper gold) as it's the only thing they know. I've read it a couple of times in the last couple of days! !